You just purchased your first RV and you’re anxious to take your first trip. But before you hit the road there are a few things you should know. If you purchased from an RV dealership you should have received a walk through of your RV with an RV tech who showed you how everything works and where everything is. If you didn’t get a walk-thru make arrangement with the dealer to get one. 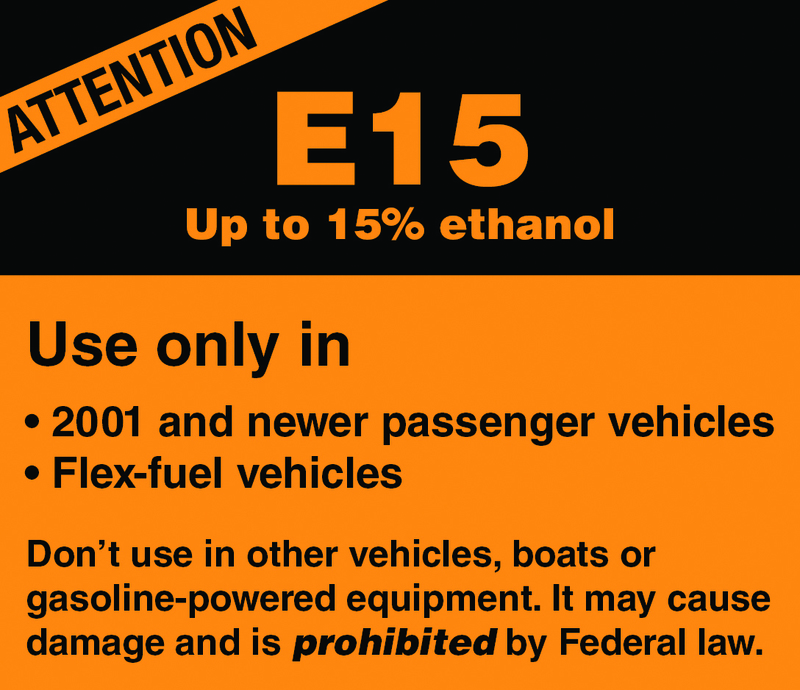 If you purchased your RV from a private party a walk-thru doesn’t always happen. And even if it does it may not be as thorough as a walk through should be. You can get a proper walk-through from an RV tech. You will likely have to pay for his time but the money will be well spent. 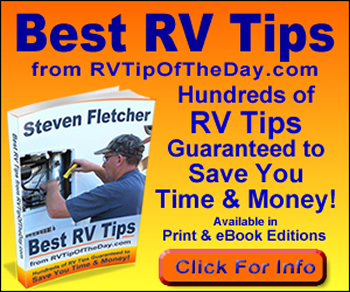 Knowing the workings of your RV is the best way to assure a good first trip. Keep your repair list and camera handy. During the walk-through make a note of anything that is not working properly or shows damage. Taking a photo would be good too. 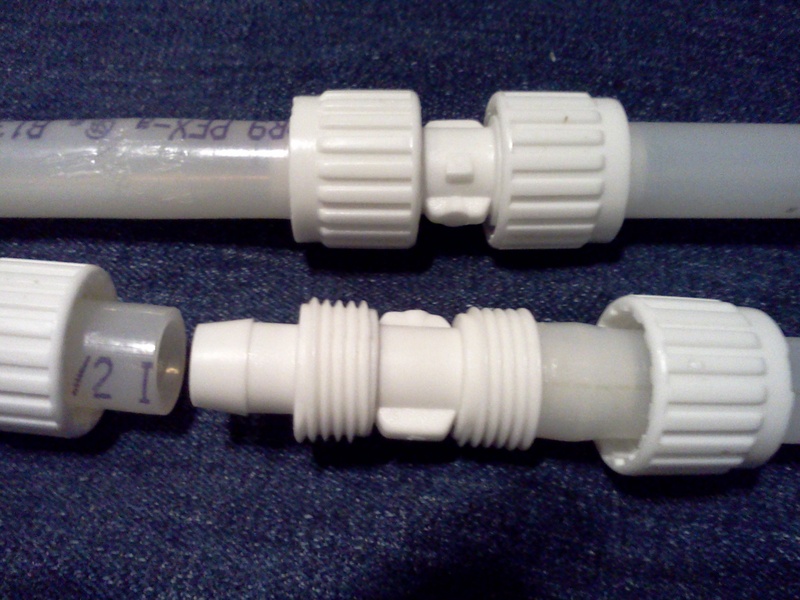 Major problem should be addressed before your trip. Minor repairs can wait until after your first trip if you don’t mind waiting. If you purchased new from a dealer these issues should be covered by a warranty. You’ve done the walk-through, made necessary repairs and the RV is ready to roll. What’s next? Make a list of the things you will need for your RV trip. Use the list to check off thing as you load them. You will forget things but it’s okay. 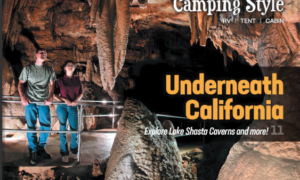 Most items can be purchased at the campground or at a store near the campground. Plan your first RV trip to somewhere close to home. 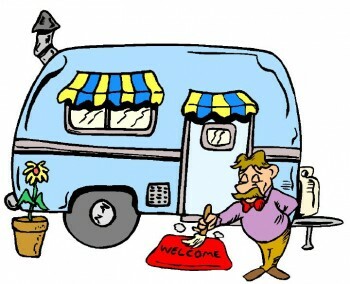 Some RV lifestyle ‘experts’ even advise your first campsite should be the driveway of your home. There’s good reasoning to that advice. First, anything you forgot is just a few steps away. Second if the air conditioner dies on the hottest day of summer or the heater quits during an especially cold night you can retreat to the house. But lets be real here, you didn’t buy an RV so you could camp in your driveway. Right? 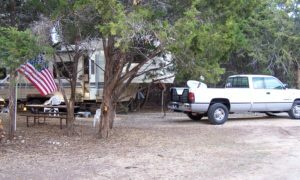 So my advise is that you pick a campground or RV park just a few miles from home. Remember, you’re going camping not taking a road trip. 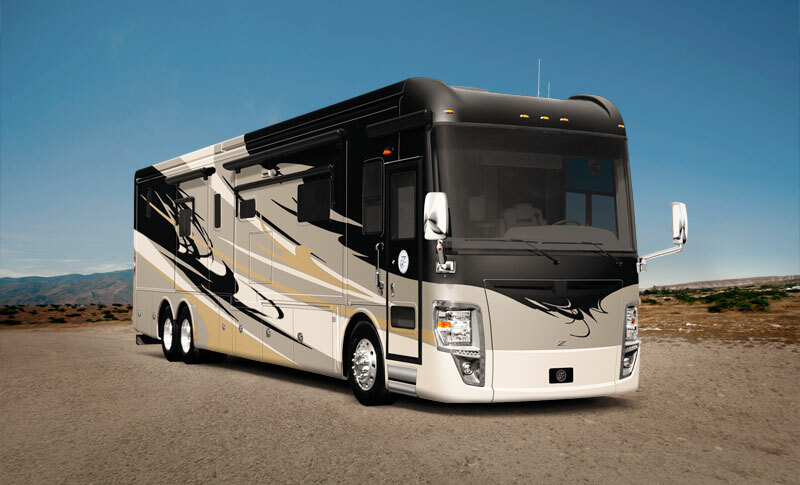 Why spend a large part of your weekend driving when you could be actually enjoying your new RV. Besides it is no fun arriving late, tired from the drive… maybe even after dark… and have to back in and unhitch and then make camp. Then, of course, you’ll have to leave the campground early and face the long drive home. I highly recommend reserving a campsite that has water, electric and most importantly sewer hookups. It’s so tempting to head off to a campsite in the forest of right on the beach but these campsites most often do not have a sewer hookup. I’ll bet you a dozen doughnuts that you will fill your gray water tank before the weekend is over and without a sewer hookup to drain into you’ll be forced to hitch up and head for a dump station or even head home early. Consider the length of your RV when making reservations. Many parks have limits on the length of RV they can fit. 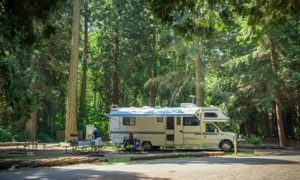 Many state parks can not handle longer RVs because the roads leading to the park as well as inside the campground are too winding or narrow. Check ahead before you go to avoid any unpleasant surprises. Take your time and patience. The primary reason for choosing a campsite close to home is to minimize stress. If you have never driven a large vehicle it can be stressful. keeping the drive time short will make the trip easier. Keep in mind that you will likely drive slower than you may normally drive a car so it is all the more reason to stay close to home. 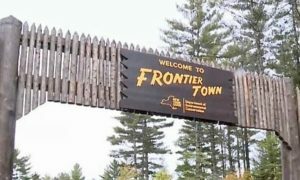 One Response to "Tips for a First-Time RVer"